CiTR 101.9FM and Discorder Magazine can’t happen without you! We are committed to supporting independent artists and community initiatives. Interested in hearing your tunes on radio? Submit your music to our playlist or come to the studio and perform live on air! You can also pitch a story for the radio, or learn about producing your own regular show. For local bands, CiTR’s Music Department also offers an affordable mail out service to get your music to other campus-community radio stations across Canada. If you want to see your name in print or get a worthy group featured, you can submit scoops to Discorder Magazine. Discorder covers artists and current affairs, with an emphasis on local and underrepresented. They accept submissions of music, books, independent films, podcasts, event listings and more, for both review and feature consideration. We are always looking for new music to add to our on-air playlist and music library! CiTR 101.9FM loves hearing new music of all genres from Vancouver and beyond, and we love supporting emerging musicians. You can submit your music to CiTR any time. Myles Black – Music Dept. LL500 – 6133 University Blvd. We prioritize physical copies, but you can submit releases with a minimum of four tracks digitally through email. Downloads with 320kbps MP3 files are ideal. Please include a preview link and one page of band information. We’re most interested in local releases and music in high demand from our programmers. Email your submissions to Myles Black at music@citr.ca. To follow up, feel free to call us at 604-822-8733, or email 1-2 weeks after submission to learn whether we’ve added it to playlist or music library. Tracking hours are every Wednesday, 12-3pm. Take a look at our shows to target specific hosts. You can mail an album directly to the host through our mailing address, or contact the host through the email listed on their show page. Want to perform live on the air at CiTR station? We love having touring musicians and local favourites join us in the studio for a live broadcast set! Email Myles Black at music@citr.ca and we’ll look over your request. We’re likely to arrange a live performance if we’re already playing your music, so please submit your music! If you’re an author, artist, educator or academic and want to discuss a particular issue on-air, check out our spoken word shows. We also have several current affairs programs covering a wide array of topics, including News 101 and Arts Report. Get familiar with our shows to see which is the best fit for your project. You can also contact music@citr.ca or programming@citr.ca, and we’ll help you get in touch with the correct show host. Want to curate your own playlist or have an idea for on-air content but don’t know where to start? 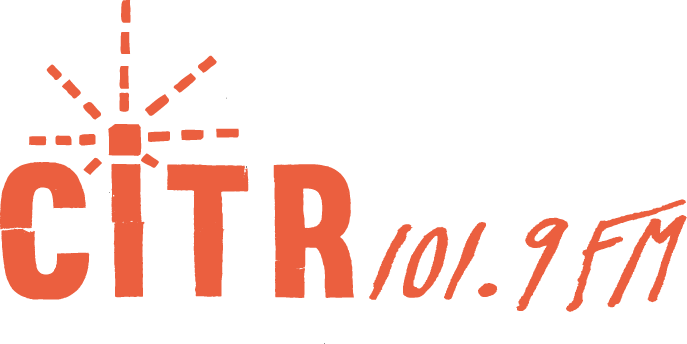 Check out our volunteer page to see how you can make radio for CiTR 101.9FM. CiTR 101.9FM offers a mailing service for your band’s new releases! A couple of times a year, we send out a stack of music to other campus and community radio stations across Canada. If you’d love to have your music played on the radio from sea to shining sea, and heard by millions, send us a physical copy of your newest stuff! We take CDs, vinyl, and cassettes. Since the objective of sending out a mailer is to add to the physical music libraries of other stations, we do not accept digital submissions (if you have questions about exemptions, please contact Myles Black at music@citr.ca). Submissions for our October 2018 mailer will be open in August. If you have a new release and would like to be included in our next mailer, send an email to Myles Black at music@citr.ca with a brief band bio and digital samples before you send us physical copies. There are several different ways to pitch to Discorder Magazine. Read the following guidelines carefully, but feel free to email questions directly to the Editor-in-Chief Brit Bachmann at editor.discorder@citr.ca. If you are interested in contributing to Discorder Magazine as a writer, photographer or illustrator, visit our Contribute page for more info. Please note, Discorder prioritizes submissions with relevancy to the Lower Mainland. Because our contributor base is entirely volunteer, we cannot guarantee to cover everything that is submitted to us, but the masthead does review all submissions and pitches. *You can also submit and pitch in person, or by mail to CiTR station in the Nest, located at LL500 6133 University Boulevard, Vancouver, B.C., V6T1Z1. Be sure to clearly indicate that your submission is for Discorder Magazine!